Are do you find it hard to get quiet time with Jesus as a busy mom? Maybe you have an infant and your sleep deprived and find it hard to concentrate on God’s Word. You miss being able to just sit and engage with God like you used to. Some time ago, I read an article titled: 3 Common Misconceptions About Studying the Bible. 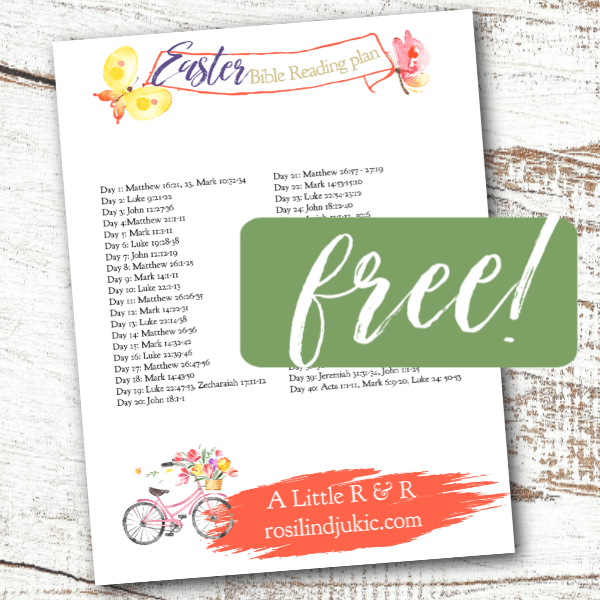 I felt so encouraged and inspired as a mom! Many new mothers have confided in me their guilt or frustration about not getting the time like before for devotions. I have been through this, too. I have felt both guilt and frustration. While I get up pretty early in the morning to spend time with the Lord, it doesn’t always happen the way I had planned. Some mornings the boys wake up extra early and my time with the Lord occurs to the tune of Postman Pat, Veggie Tales, or Thomas and Friends. Yea, really deep. This would often leave me feeling like I hadn’t really connected with God. And yet, while reading the blog post, I was inspired to think outside of the box. And as mothers we have to exercise this ability quite regularly – to think outside the box, that is. Because we all know that with little ones nothing – nothing at all – is ever guaranteed to work out the way we planned. Right? To place upon yourself the expectation to spend an hour alone with the Lord each morning (or evening – or at any time of the day) is setting yourself up for disappointment. It’s not likely to happen – at least not on a regular basis. In fact, I’ll guarantee you that there will be days when you wont get any quiet time with the Lord. And yet we all know how important it is that we maintain a growing and active relationship with Jesus Christ. Neglecting our relationship with Him is not an option. It’s not healthy and it opens the door for the enemy to bring defeat into our lives. As busy moms of small children we have a golden opportunity at our fingertips to put into immediate practice what we should have been doing all along. Remove the time slots and engage with God all day long. Here are 7 ways busy moms can get rid of the time slots and engage with God all day. Maybe they wont be deep and super thought-provoking, but after you’ve read them a Bible story, and as you go about your day, meditate on it and ask the Lord to show you something new in that story that you’ve never seen before or how you might apply it to your life. Memorizing passages of scripture is not only a good discipline, it also helps to keep individual verses within their proper context. Write the verses down on 3 X 5 cards and keep them with you. Work on those verses while vacuuming, doing the dishes and ironing. While you memorize them, think deeply about them, meditate on them and ask the Lord how you can put them to work in your life. It is ideal to pick a passage relevant to your life right now. You can do this while the children nap or you are preparing dinner. It’s so easy – plug your earphones in, give your children some independent play time and engage with God’s Word. I have found Good Morning Girls particularly helpful because each day we read and meditate on only 1-3 verses. Using the SOAK method (Scripture, Observation, Application, Kneel in prayer) doesn’t take much time and reading just one chapter a day allows you to meditate deeply on the passage without forgetting what you read the day before. 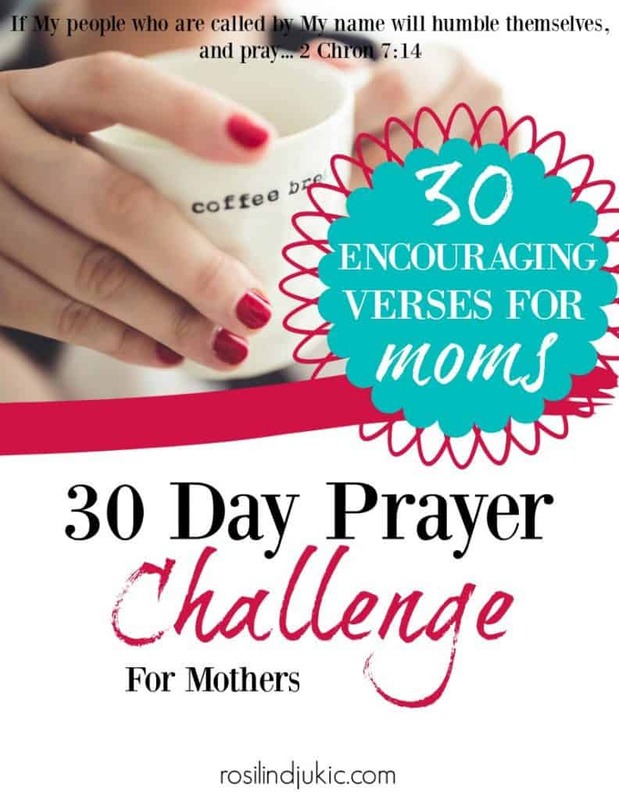 It is excellent for putting familiar passages and verses into their proper context and yet the short amount of time it takes to do the study each day is perfect for moms with small children. 5. Connect with other moms for accountability. Again, you can insert Good Morning Girls here or perhaps a ladies Bible study at your church. This small step can mean so much – especially if you can find other moms who are experiencing the same challenges you are. 6. Replace a cartoon with a worship DVD. Fill your home with praise and worship. My kids love it when I put on a Gaither Homecoming DVD. They sing along with all of the songs and it gives me a break from listening to cartoons. I can’t tell you how many times I found myself reduced to tears as I sang along with the songs and the message of the lyrics spoke to my present situation – or my heart just soared in worship to God. Often times I’ll just pause for a minute or two, lift my hands and just worship. My kids think I’m nuts – but it puts my focus back where it ought to be. Vertical! 7. Pray while you are doing housework. I blogged about this in my article 6 Amazing Ways to Make Your Whole House a War Room. I think God loves it when we communicate with Him throughout the day, allowing Him to be part of everything we do. He wants to fill your whole day! Rosilind, YES! God is ever-present, and he invites us to “pray without ceasing” (i.e. while washing dishes, changing diapers, wiping noses), “give thanks in everything,” (i.e. while unpacking groceries, folding laundry, drifting off to sleep), “let the word of Christ dwell in you richly (i.e. meditating from an index card verse stuck on the bathroom mirror). He’s in all things, so we can meet him there 🙂 Blessed from Be Not Weary today. I’m guilty of not reading the Bible in the morning anymore. Part of it is wanting to read a lot more than I sometimes have time for. One thing I have done is to pray while I’m running. I spend a lot of time thinking while running. These are really inspirational! We must always keep our communication lines with God open through out each day. Thanks a lot for sharing, have a super blessed day! Thank you for blogging about this. I was very encouraged by your realism 🙂 May God bless you and fill you with His presence as you pursue each other throughout the day! I love everything that you wrote here! You have drawn wonderful parallels! You are so welcome. Thank you for the lovely post – it was so encouraging to me at just the right time! I hear you, Barb! Praying while running is so great. I remember my dad saying how me meditated on the Psalm, “I will run in the way of your commandments while you enlarge my heart” while he ran. Amen! Thank you so much for stopping by. If you have a blog, would you leave your address in a comment. I’d love to stop by and visit! I am so blessed that you were encouraged by the post. I pray that God bless you, as well as you labor for His kingdom! I agree with and love the heart of this message- the tips are great and I have used variations of each! Lovely , freeing message for moms- nicely done! Such a great post girly! I love GMG! They saved me, seriously! I put soooo much stress on myself before and didn’t enjoy the time I was getting b/c I was making myself feel guilty. Thanks for sharing and linking up at Simply Helping Him last week! 🙂 Blessings! Thank you for stopping by, Dawn! And thank you for such an encouraging comment! 🙂 We’re so much alike, the more I get to know you! 🙂 Love ya! Roz, this is another blog post that is spot on. Since I had my son last August, having a consistent quiet time and prayer time has truly been a challenge. I do listen to a lot of mp3 sermons and what I am learning to do these days is at least to meditate on one Scripture. It’s truly tough. But I am one to simply enjoy the season I currently find myself in while I keep on pressing toward the mark. Ha ! Pressing. Paul chose a good word there, didn’t he ? Have a wonderful day Roz and thanks for linking up ! With my first two children my quiet times are a blur looking back. Did I have them? I don’t know. I did faithfully read Bible stories to them and we did Bible lessons once my oldest was 5 and he started school…as we added more children and life got crazy, my quiet time was often reading the Bible to them. I remember the day we were doing a lesson in the Weaver Curriculum and I had to read the story of Ehud (Ehud, right?) put the 18″ dagger into the other guy and lost it in his gut. I had read through the whole Bible before but must have slept through that story because I almost died reading it to my son (7yo) who absolutely LOVED the story (of course!) and thought my reaction was hilarious!! So, you can think about the Lord all day and even with your children. Wonderful post!! That is hilarious! Yes – that IS story that boys would love. hahahaha!!! Thank you, Gertrude. Yes – we need press on and find creative ways to feed our spirits. That is great, Heather. Personal time is important – but God understands that for moms it is a commodity.